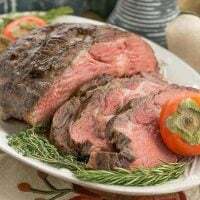 This Classic Prime Rib Roast is a popular holiday dinner request, as Bill always pines for beef during the holidays. Who am I to argue? I made this with a little help from the Certified Angus Beef® Brand Roast Perfect App and the tender prime rib had the family swooning. Disclosure: This post is sponsored by Certified Angus Beef® Brand in conjunction with a social media campaign through Sunday Supper LLC. All opinions are my own. I served a prime rib for last year’s Christmas dinner and again when the family gathered this year on the weekend after Thanksgiving. It’s a perfect celebratory entree. Some years, I whip up Yorkshire puddings to accompany them, but simple mashed potatoes sufficed in 2014. My family loves their beef quite rare, so a meat thermometer is imperative for proper cooking. Prime beef is too expensive to accidentally over cook it. 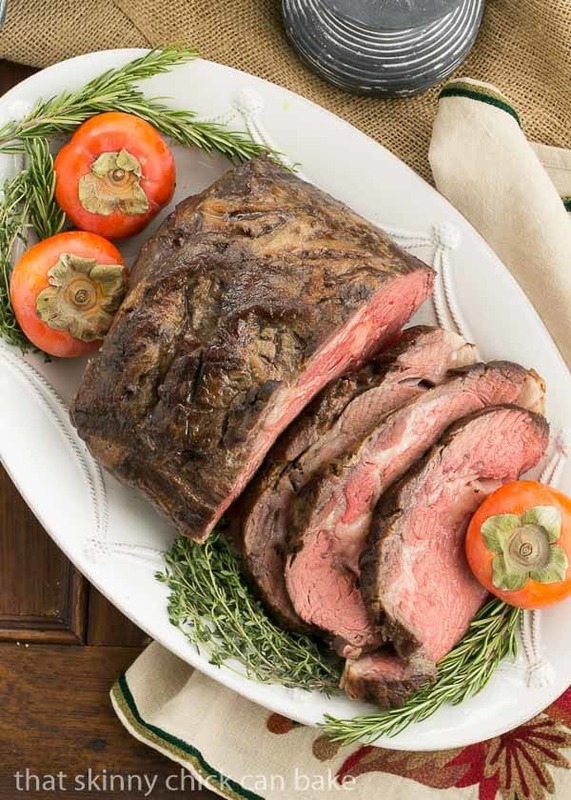 This classic prime rib recipe also requires a little advance prep—nothing challenging, but you need to have your roast defrosted at least 48 hours ahead of your serving time. 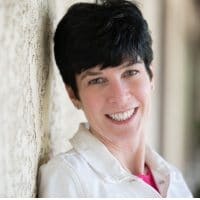 The top layer of fat must be scored and the whole slab of meat rubbed with kosher salt, and left to air age in the refrigerator for 2-3 days. But most important is to buy a really good piece of beef. 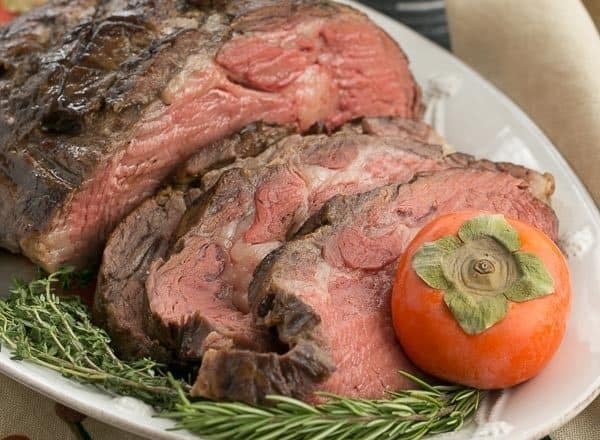 You cannot go wrong with a Certified Angus Beef Beef® Prime Rib. Between having the top of the line brand of beef and their new, free Roast Perfect App, you’ll be able to create a restaurant worthy meal at home! The low and slow method of cooking prime rib ensures a nice rare middle and very little grayish perimeter that comes from higher heat. 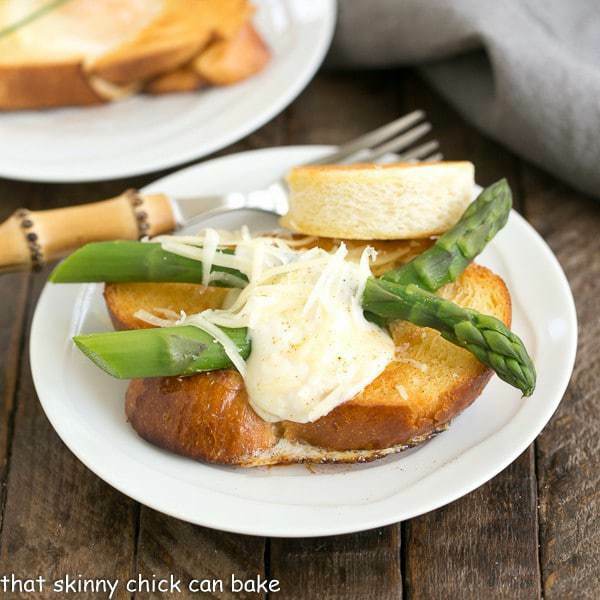 A short broiling time at the end takes care of crisping and browning the top layer of fat. I often up the temp from 200º to 250º or switch to convection just to speed up a process a wee bit. Patience just isn’t my strongest virtue–especially when the aroma of roast beef starts filling the house. Once again, the family gave their seal of approval to this spectacular holiday entree. Thanks, Certified Angus Beef® Brand for a picture-perfect roast and the technology to answer all my questions. If you want the best of the best when it comes to beef, look for the above logo. Certified Angus Beef® Brand is the highest quality of beef available to everyday consumers. They have just launched a new app to assist home cooks with their roasting challenges. You’ll want to download the Certified Angus Beef® Brand Roast Perfect App ASAP. 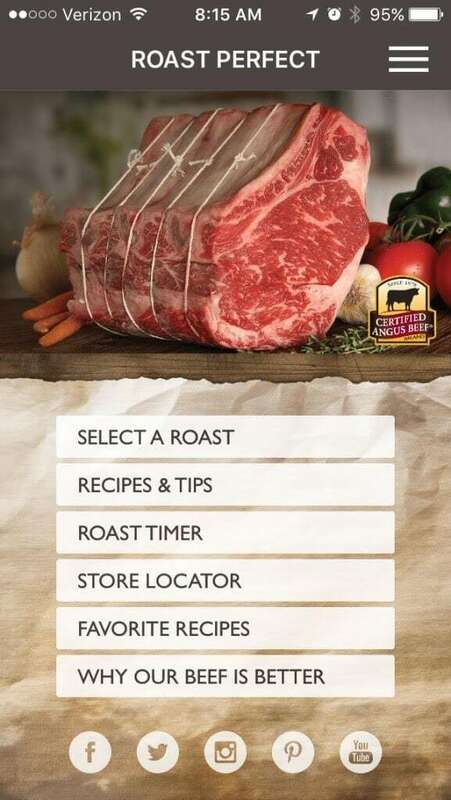 It is the most comprehensive and user-friendly roasting app available—and you’ll love having it at your fingertips when you’re planning your holiday menu, calculating cooking times, hunting for recipes, looking for the nearest location to purchase Certified Angus Beef® Brand and a whole lot more. I can never remember the exact temperatures for rare beef (how my husband and sons want theirs) compared with medium rare (for me). Having this app right on my phone made it a breeze to check while standing at the oven. And for Christmas, I’m going to select one of their recipes for beef tenderloin. 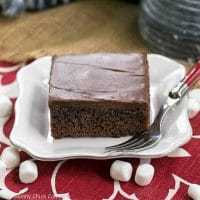 Certified Angus Beef® Brand is a must on our holiday table, and here in the Indianapolis area, I can find it at Meijer! 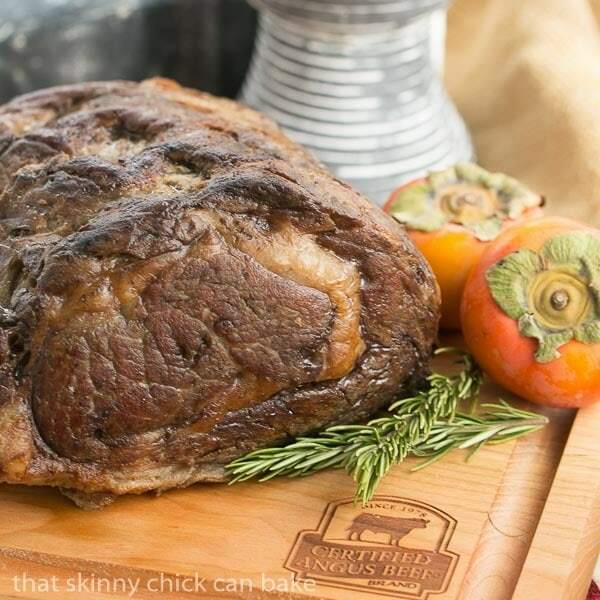 Pinterest, plus you’ll definitely want to follow the Certified Angus Beef® Brand Roast Perfect Pinterest Board for more recipes, inspiration and tips! 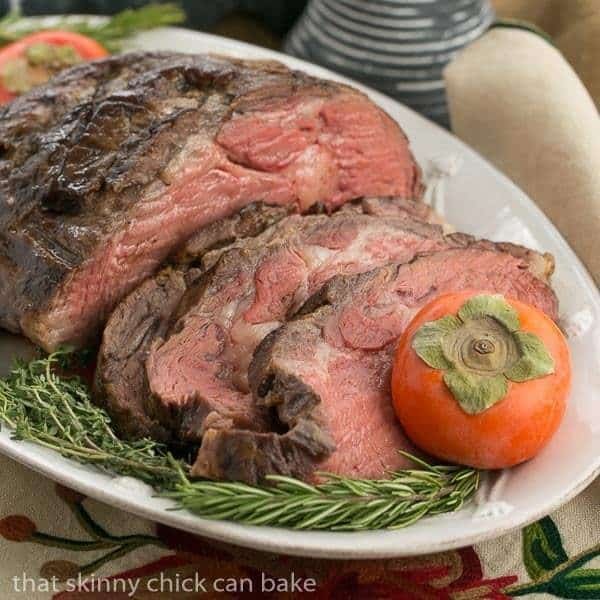 Don’t Forget to Pin this Classic Prime Rib Recipe! One to 3 days before serving, cut slits into fat on top of roast in a crosshatch pattern. Rub salt all over roast, and refrigerate uncovered. On serving day, preheat oven to 200º. Sear roast in a roaster in a small amount of oil, a couple minutes on each side. Place rack into roaster, and set beef on rack. Place in oven and insert meat thermometer into center of roast. Cook for 3-4 hours till meat thermometer registers 110º. Turn oven off and let rest for about 30 minutes without opening oven door. Remove when internal temperature reaches about 120º for rare. Cover roast with foil and wait at least 10 and up to 30 minutes to let juices redistribute. Uncover, and place under broiler and broil till top is browned and crispy, watching carefully to prevent burning. To serve, cut meat into slices. Season with additional salt if necessary. Feel free to cut some slits in the top of the roast and insert some slices of garlic before roasting. Or sprinkle with garlic powder. Note that total time does not include dry brining time. What a gorgeous roast! Perfectly cooked! Truly a perfectly cooked roast! I haven’t made a roast beef in a really long time! When it’s just the two of us it makes too much food and although I do love leftovers, beef is not something I want to eat for 3-4 days in a row! I love dry aging the meat too, creates such a succulent piece of meat (I’ve done it with steaks). Beautiful Sunday supper, Liz. Now that’s a perfect beef roast! 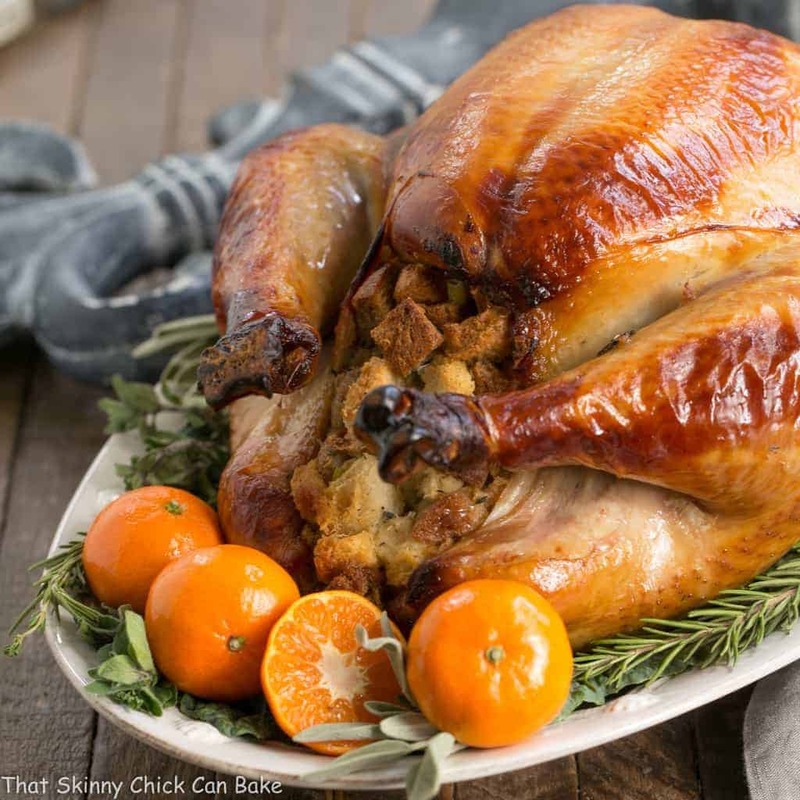 Liz, this roast is absolutely stunning and would be a great addition to my holiday table! 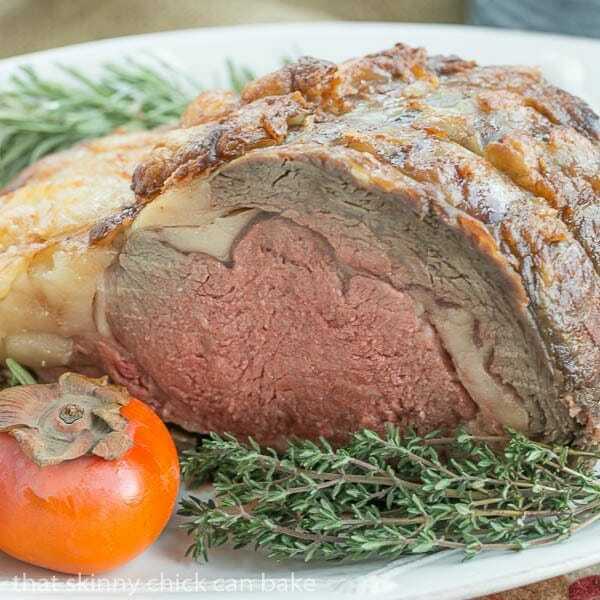 You can’t beat a classic Prime Rib Roast! Now that is a special occasion entree! This roast looks stunning and perfectly cooked! I love that the #RoastPerfect app makes it so easy to prepare a perfectly cooked roast. Thanks for sharing. That’s the perfect color of slice for me! I’ll take two please!! Your prime rib looks wonderful. We eat ours medium rare, but otherwise I’d eat yours in a heartbeat! I’ll second that, low and slow is the only way to go. You prime rib is making me salivate, it looks amazing. Cooking red meat is my biggest challenge (may have mentioned it) I will just wait for the invite to come over rather than try myself lol. 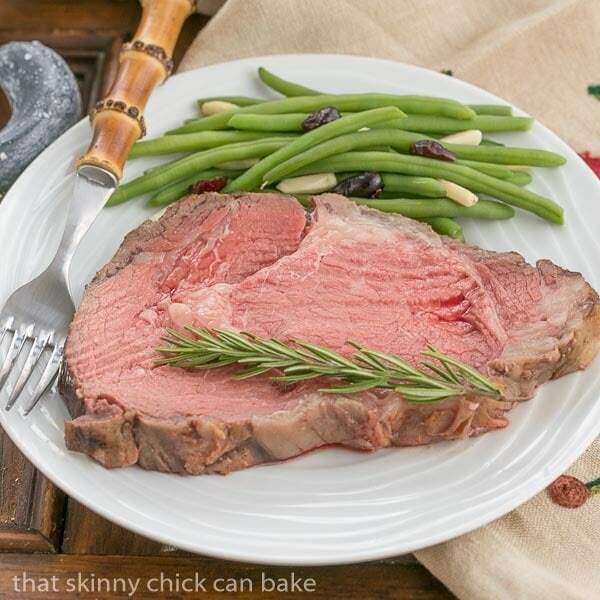 I have not perfected the prime rib roast – this will be my go to recipe – thank you so much for sharing it. Can’t wait to try this. Yours looks absolutely perfect! Liz, this is one of the most perfect Classiic Rrime Ribs that I have ever seen – I am in awe and although it is morning around here I believe I am getting quite hungry at this early hour. And the decoration with the lovely orange persimmons and herbs is outstanding as well! Bravo! What a perfect holiday dinner!!!! This is so gorgeous and I love all of your tips! 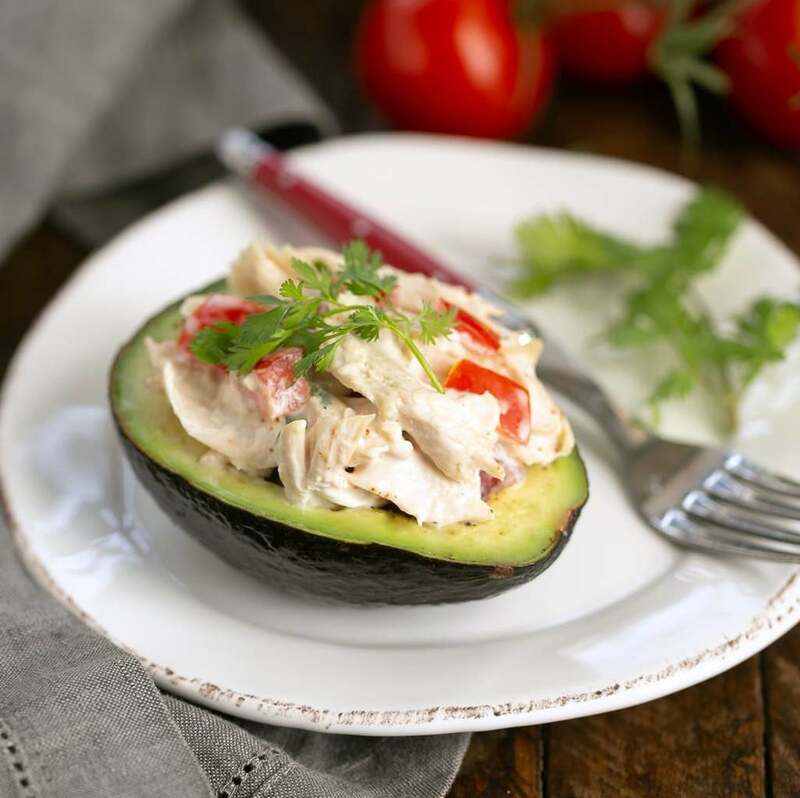 Dry aging in the fridge…great idea! I love prime rib and the rarer the better. Your roast looks perfectly done. Wish I lived next door so I could get some leftovers. That is one beautiful rib roast!! Cooked to perfection. We forwent the turkey this year at TG, and grilled a rib roast for the first time. A new tradition for us! 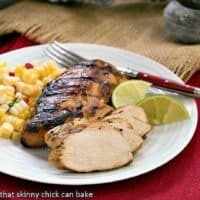 I am always up for a classic meal like this, and the recipe looks perfect! 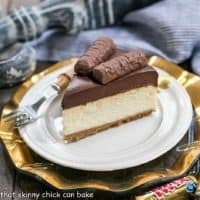 Good lord that looks good!! So simple too! Gorgeous! I want a big ol’ slice right now!! I’ve always wanted to try making a Yorkshire pudding. 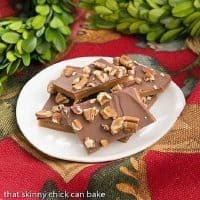 I bet that would go fabulously with this roast, too! I’ve had Prime Rib once (maybe twice) and it was a very long time ago. My family may revolt if I didn’t prepare a turkey for Christmas but I think with one taste they’d get over it!